Our Washington Nationals (formerly your Montreal Expos) (88-54) defeated the New York Mets (65-77) last night in the second game of a six-game road trip while the Braves were losing again to the Brewers to reduce the Nats' magic number to 13. 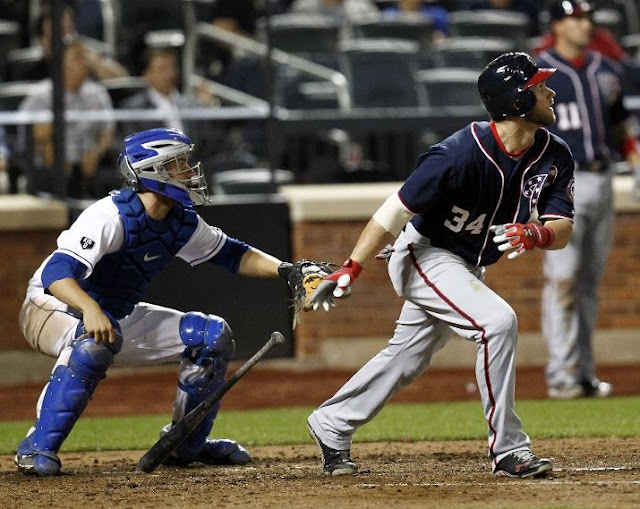 Bryce Harper had four hits after previously going 0-10 against Mets' ace R.A. Dickey. Pinch hitter Tyler Moore put the Nats ahead with a homer in the seventh. 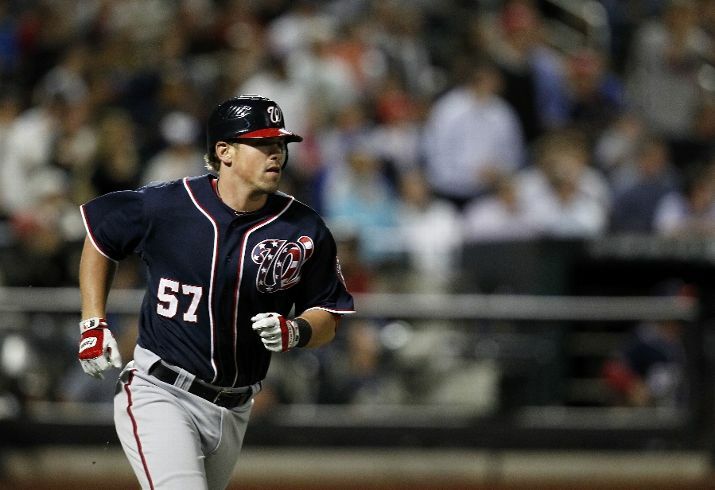 The Nats wore their patriotic "stars & stripes" uniforms.